Tracking down the origins of the Slender Man is as difficult as the alleged being itself. Slender Man was supposedly an internet hoax designed by an internet user on the Something Awful Forums nearly five years ago, but there are rumors of it's existance prior to that now infamous post. Whether or not these rumors are real is another story and it will take some digging to discover the truth behind the legend of the Slender Man. The first known instance of Slender Man in media is from the Middle Ages. Which makes the legend of the Slender Man a lot older than it's alleged beginnnigs in the 21st Century. In 1540, a woodcut (pictured above) depicts a Knight fighting a Sleder Man. The characteristics of the Slender Man always include: long arms, frail body, empty face. Most of these attributes can be seen on the beast that the Knight is fighting in the woodcut. Let's look at the history of the woodcut. Der Ritter is the name of the woodcut and just for disclosure purposes, this image could have been tampered with, it is not uncommong for some in the creepypasta community to tamper with images to make it appear as if the Slender Man was involved. If we believe that Der Ritter is real than that means an artist in the 1540's depicted an encounter between a Knight and the Slender Man in Germany. The Clutchbone, a seven foot tall monster, plagued Northern England during the 1800s This photo is alleged to have been taking during an encounter with the Clutchbone which if the internet community is to believed was taken during the 1800s. I am no expert on photography so it is possible based on my understanding that this photo could have been taken before the Twentieth Century, but I don't believe it was taken early in the century. I have seen numerous Civil War era photographs let's look at one and compare. You can clearly see that the top of the photo is almost warped. That is due to the placement of the camera. The cameras that were used in the 1860s and prior took time to set up and they often left visual warping on the photographs, especially if they were exposed to dense light. Now, the photo of the Clutchbone is clearly in a dark place and under a bridge - still the photographer would have needed time to set up his equipment to take the photo. The clutchbone would have had to be standing still for up to a thirty seconds to be clearly depicted in the image. The late 20th and early 21st Centuries have been full of Slender Man sightings whether this is due to an increasingly global world where information is rapidly shared over the internet through websites is unclear. It is possible that since there are more people with recording devices that more data is being gathered on the creature that we call the Slender Man, but it is also possible tha the internet has provided hacks an oppurtunity to hoax people. Ted Henderson in 1953 was charged with the murder of his family and put in a psychiatric hospital. The below video is said to be a re-creation of a final interview with Ted Henderson. Warning this video is disturbing. Ted Henderson was confined in the hospital for nearly three years where he was interviewed about the death of his family. His wife Tracy was never found and when the police arrived on scene Ted was mad and clearly insane. In the interview, Ted describes something that took his wife perhaps a entity in a suit. This matches modern Slender Man depictions which we will discuss in detail later in this article. I doubt that the video linked above is the "real" interview with Ted Henderson (if there ever was one), but some re-creation. The 1980s produced a number of disapperances in a small town in CA named Stirling City. During the 1980s numerous people vanished without a trace, their bodies never found, which promoted a massive manhunt by the authorities. One body was found, Joseph Pertman, his body was found in a swamp, decaying, authorities estimated that he was alive for up to four months before he died. His body was "contorted" which seems similar to other victims of the Slender Man. In the background you can clearly see a tall, black shape, the internet community would have us to believe that this is the Slender Man and perhaps it is. This photo was allegedly taking during the Stirling City crisis in the 1980s. In 1987, police were called to the Elkins residence to investigate a child abduction. The only witness was Alice Elkins. Alice claimed to see a huge tall man outside the house. She said that for weeks the tall man had come to the window of their bedroom, but police dismissed her account because the window was on the second floor. her sister was never found. The Marble Hornets is based on a phenomenon called the Slender Man. Other mediums have started in the past few years based on the success of the Marble Hornets. One is the Slender Man Arrival video game. These films and games like other films and games are based on something that is "real" or "imaginary". It is possible that all of this is one big hoax, but that may be going a bit too far. There are plenty of legends about strange creatures such as the wendigo that go back far into history. There are stories of a creature called the Moth Man that bare strikingly similar parallels to the Slender Man. 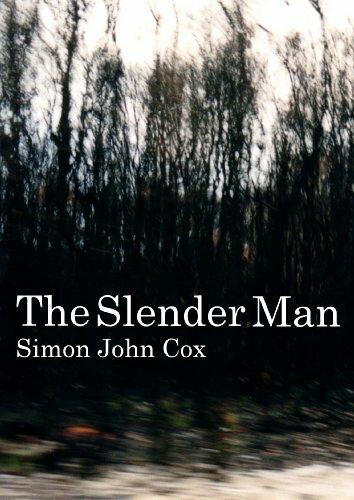 Of course, you have your classic Boogey Man and really that is what the Slender Man is. It is a boogey man. There are different depictions of the Slender Man and some of the images uploaded to this article have shown the Slender Man in different lights. Some of the images depict him as being tall, with long arms, but also with additional limbs that snake out from his back. This gives him an almost Cthulu, interdimensional being, image. Some of the sightings only have him with two long arms and no additional arms (pictured above) and most if not all of the modern sightings have the Slender Man wearing a business suit with no face at all. The Slender Man may be an inter dimensional being that is feeding off humanity. The stories that I introduced in this article all have similar parallels. They involve children being kidnapped and strange abductions that make no sense. The bodies that are found are mutilated in ways that a human would be hardpressed to achieve. I believe that there is a kernal of truth in the legend of the Slender Man, but let's not mistake the effect the internet has played on the legend. Creepypasta has sought the legend of Slender Man out and there are a lot of fake stories and photographs on the internet. But, some of them are real, some of the stories are real. There are boogey men out there and it is possible that the Slender Man is our 21st Century attempt to describe the boogey man. Do not dismiss the Slender Man because if you do he might pay you a visit! It is a scary subject!